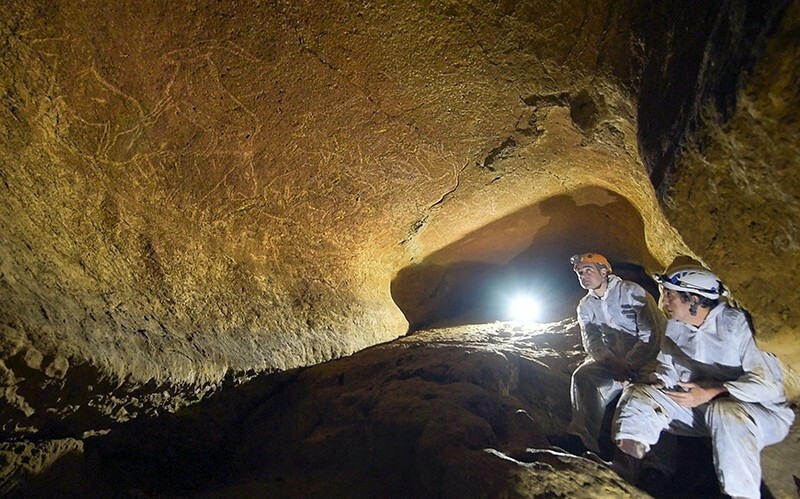 More than 50 cave etchings thought to be around 14,500-years-old have been found in the northern Spanish town of Lekeitio. Bizkaia regional official Unai Rementeria announced the discovery in a press conference Thursday, saying the etchings were a "treasure of mankind," and "of exceptional technical quality and visibility." Cave specialists and archaeologists declared them to be the most "spectacular and striking" of their kind ever found in the Iberian peninsula. 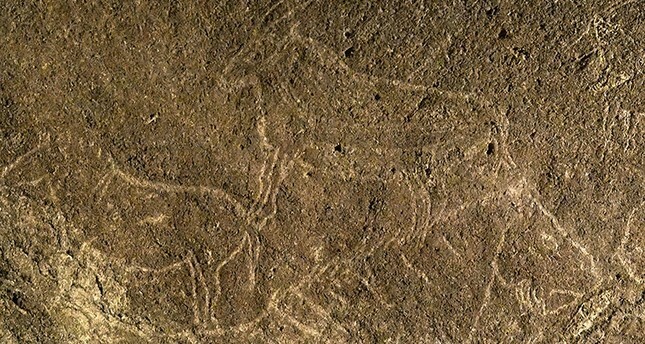 Among the figures carved into the stone surface are horses, bison, goats and, for the first time, at least two lions. The cave would not be opened to the public both to preserve the paintings and because it is difficult to access. The region of Bizkaia neighbors the region of Cantabria, home to the famous Altamira cave paintings, Spain's most prized prehistoric cave art site - also known as the Sistine Chapel of Paleolithic Art. 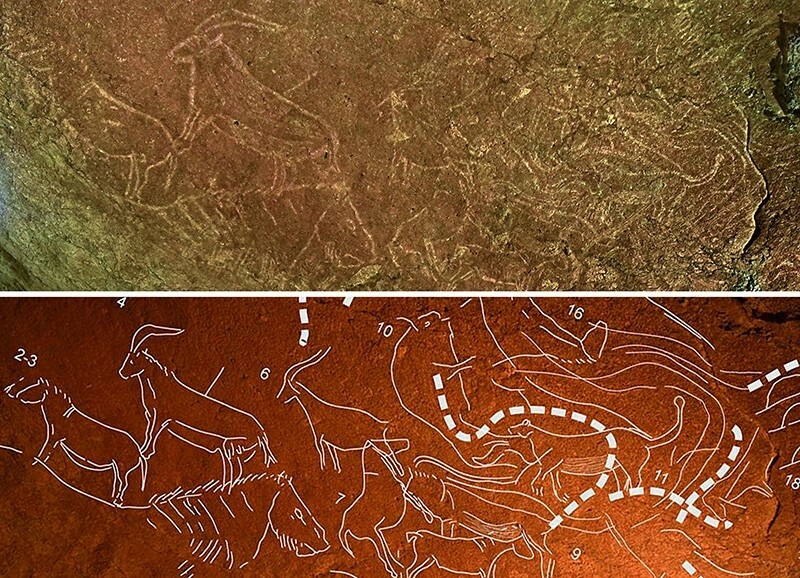 The cave of Altamira with prehistoric bison paintings in Spain's Cantabria region is a UNESCO World Heritage Site.